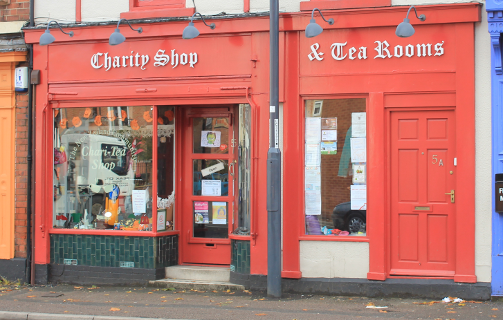 Our second charity shop - The New Zealand Chari-tea Shop opened on Saturday 8th October 2011. Dominic Byrnes, Local Film maker had the honour of opening the shop. The shop is full of clothes for men, women and children. At reasonable prices, Along with shoes, handbags, jewellery, toys, books, bric-a-brac and pictures/paintings to hang on your wall. So come along in, have a browse and pick yourself a bargain. All proceeds are spent in the New Zealand Area. The New Zealand Community Association was formed in January 2004 as the Morley Action Group. The main aim of the Association was to develop community facilities for the residents of the area. The Association carried out questionnaires within the area and the results showed that the local residents would support a Community Centre. After four years of campaigning the Association was successful in acquiring the lease of a building withing the area from Derby City Council.